Brewer Description: (from bottle) There’s an aura of mystery that occurs when we close the doors to our barrel room. No one can say for sure what happens each night but it’s obvious there are spirits [ghosts if you will] working their magic. We’re not sure how many inhabit our oak forest. At present there are five large foeders and more than 1200 oak barrels for them to hide in, around, and behind. 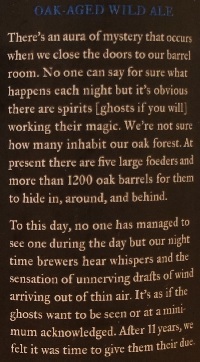 To this day, no one has managed to see one during the day but our night time brewers hear whispers and the sensation of unnerving drafts of wind arriving out of thin air. It’s as if the ghosts want to be seen or at a minimum acknowledged. After 11 years, we felt it was time to give them their due. Intro: A corked and caged 12.7 fl. oz. bottle, with no bottled on or best before date. 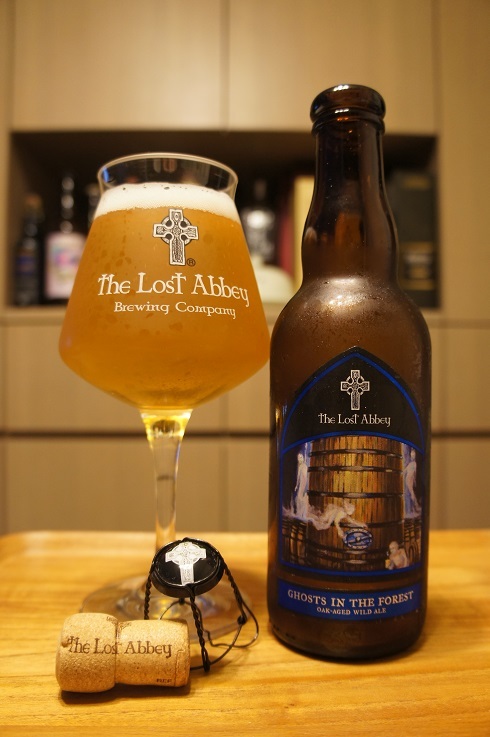 Poured into a Lost Abbey teku glass. Appearance: A lightly hazy golden yellow colour with a one finger white head that dissipated fairly quickly, but left some nice lacing. Aroma: Lightly tart, sour, oak, funky, peach, lightly vinous, white grape and lemon. Taste: Tart, sour, white grape skin, peach, stone fruit, lemon, oak and light funk. Mouthfeel: Medium bodied with moderate prickly carbonation. 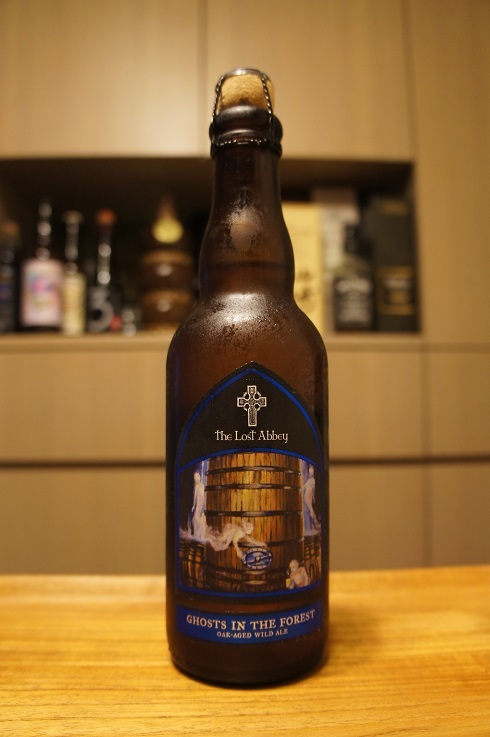 Overall: Very nice with good aroma and flavours which just make it so easy to drink.